Heading on spring break, or starting to book some summer adventures? While traveling is exciting, and vacations relaxing, sometimes getting where you are going can be a headache! Cramped quarters in cars and planes, stuffy air and germs, and stressful planning can lead to some less than stellar traveling experiences. Luckily, there are always measures you can take to reduce and combat physical and mental stress while traveling. As with many things in life, taking preventative measures for travel-related ills is critical. Have a long flight coming up and didn’t luck out on an exit row seat? Or maybe you’re headed on a short road trip, but get anxious and restless in the car. Whatever your travel plans, for your physical health and mental sanity, booking a pre-travel massage can be lifesaving. Massage has many benefits for a traveling body and mind. Pre-travel massage helps to loosen and relax muscles, as well as increase circulation. 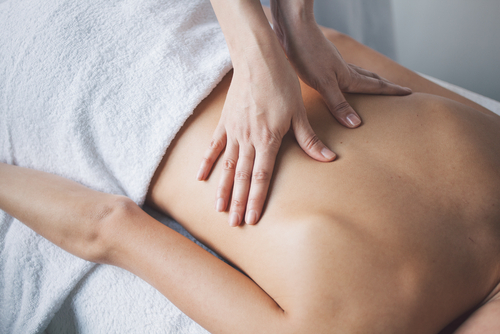 Getting a massage right before you leave will help stave off sore limbs and joints, and muscle kinks from sitting in a car, plane, or train for prolonged periods of time. Massage is also known to help release toxins in the body, which will help your body strengthen and heal, ensuring your immune system is ready to gear up and fight the physical stress of travel and potential of catching a cold from another sick passenger. Staying sane while traveling is just as important as keeping care of your physical health. Massage helps to relax and ease the mind, helping you find some zen along the path of your travels. Before loading up the car or boarding a flight, find time to do some pre-travel stretching. Focus on getting some good stretches in those areas you know will bother you, like the neck, back, and legs. Also consider finding some quiet space and practicing a simple yoga flow, either doing a simple routine you know or finding a guide on Youtube. Many airports also have designated yoga rooms you can use for your pre-flight flow. The stress of traveling getting to your head? Utilize some aromatherapy techniques with essential oils to find some peace and calm an anxious mind. 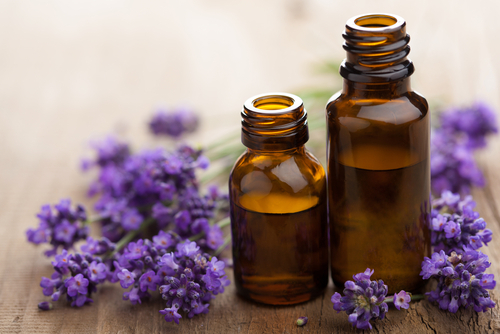 Having lavender oil on hand to run into feet, temples or wrists will help keep travel stress in check. Pair with some breathing exercises or a meditation app to boost your relaxation. Of course, if you are planning on flying with essential oils as a carry-on item make sure they are TSA compliant. As always, stay hydrated! Hydrate before, during, and after your travels to keep your body functioning at its best. Whether you’re coming home to Steamboat after a trip, heading here to ski, or getting out of town, book a pre-travel massage and grab some essential oils from our gift shop at Kneading Hands. Your therapist will personalize bodywork to target any sore, problem areas, and get you prepared for the road ahead. Safe journeys!